Donna Karan and Mashonda Tifrere. Photo by Amanda Demme. Mashonda Tifrere grew up in 1980s Harlem, Donna Karan in 1960s Long Island. The two took different creative paths, one in music and one in fashion, but they’ve shared a love of art and the world that surrounds it throughout their youth and into their adult lives. After a career of singing and songwriting with the likes of Jay-Z, Eve, and Snoop Dogg, Tifrere turned her passion for art into ArtLeadHer. Founded on International Women’s Day three years ago, ArtLeadHer is a platform to celebrate and bring attention to female artists. Tifrere met Karan of the eponymous DKNY in one of the brick and mortar locations of Karan’s new cultural endeavor, Urban Zen. Located in the designer’s late husband’s studio on Greenwich Street, Urban Zen is a foundation focused on the preservation of culture, healthcare, and education, an outlet for Karan’s designs, and a gallery space. Tifrere and Karan became fast friends two summers ago and have since been collaborating to create something equally meaningful for them both. Last week, Tifrere and Karan opened King Woman, their collaboratively curated show at Urban Zen, 705 Greenwich Street. Cultured sat down with the two powerhouses to discuss the show, women in art, and what empowerment looks like. Install view of King Woman. Photo by Charlie Johnson on behalf of Urban Zen. Callan Malone: Mashonda, how did you transition from the music industry into creating ArtLeadHer? 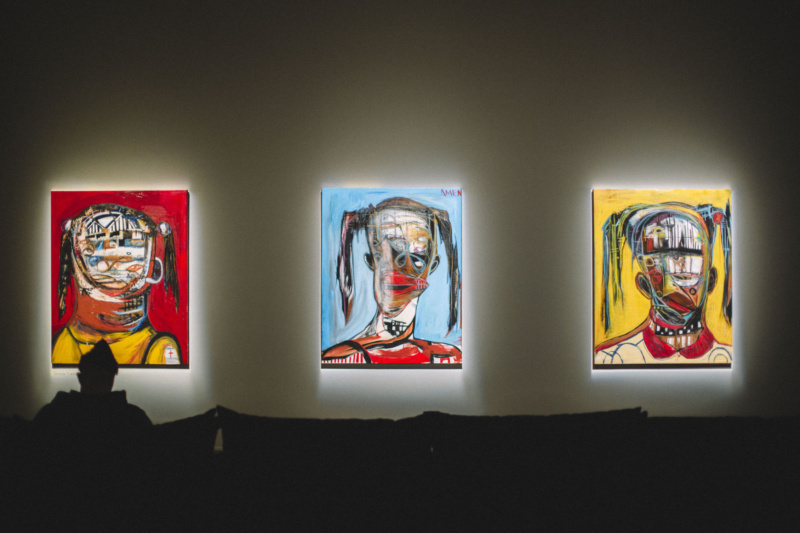 Mashonda Tifrere: I started collecting art as soon as I started making money from my music career. As a child growing up in Harlem, there was art all around me. The culture is so rich in art and music. Back then, I didn’t realize that all the street art I was seeing was by men. I had never even heard of any Harlem-based female artists. When I started collecting, I would always ask the gallerists, “Which pieces on the wall were done by women?” They never really had any. ArtLeadHer was birthed from that concern, and wanting to create wall space and opportunities for female artists. 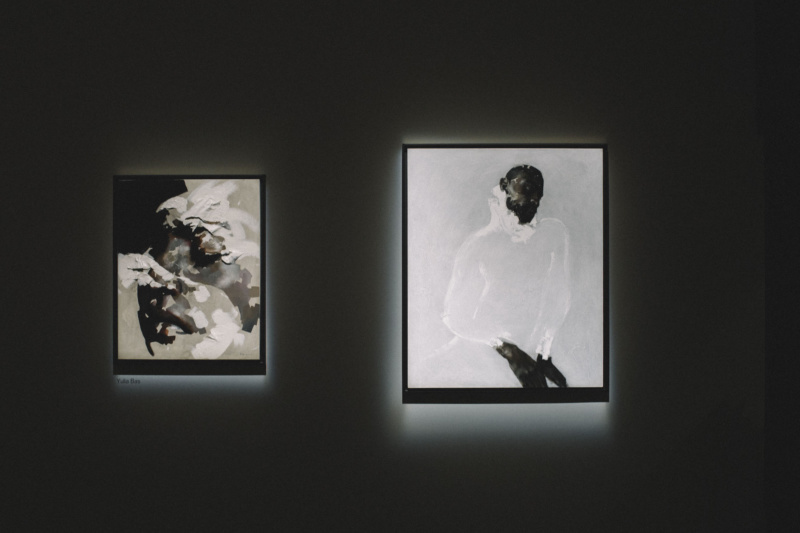 It’s been so well received and female artists from all over the world have reached out, explaining that they have these same shared experiences of being just as talented and educated as their male counterparts, but still so underrepresented in art spaces. 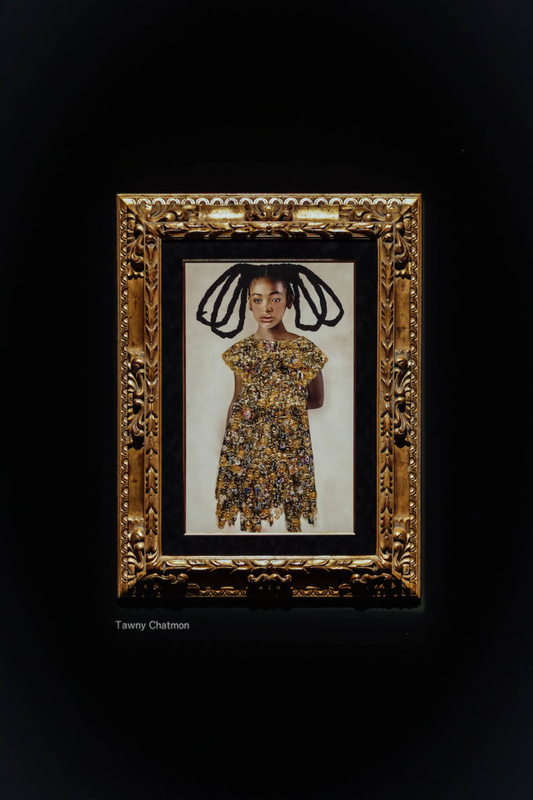 Tawny-Chatmon, “Redemption” at King Woman. Photo by Charlie Johnson on behalf of Urban Zen. CM: And how did this collaboration with Donna come about? The way she embraced me was unbelievable. I told her what I did with ArtLeadHer and we sat there for 45 minutes looking at photos of works by the artists I work with, and she said, “We have to make something happen. We’ve got to do something with this.” That was in summer of 2017 and in March of 2018, we did our first International Women’s Day here. It was magic. She’s so warm and she’s supporting me in a way that so many people don’t. It’s special when you connect with another woman who not only shows you support in a business forum, but is just so nurturing. Donna Karan: I mean, look at her. She’s so beautiful. I go to the visual. I can’t help it. It’s part of my instinct. Genesis Tramaine works at King Woman. Photo by Noemie Marguerite on behalf of Urban Zen. CM: Did you know that you wanted to use this space, your husband’s studio, for ArtLeadHer as you and Mashonda started talking and making plans? DK: It was sort of quadruple-sided. I want—I hope—that we can do something in Los Angeles. I had just moved Urban Zen to Sag Harbor and she asked, “Where’s the wall space? !” For me, Urban Zen is everything. It’s not just fashion. Fashion was the last part of Urban Zen. It started out as a center for change, to create, collaborate, and communicate in order to deal with some of the issues that we’re facing right now. It starts with preservation of culture; the present is healthcare, and the future is education. And this was my husband’s studio. He was an artist and a sculptor. I always believed that it never belonged to me. It was a space for the community, to bring people together to raise awareness and create change. I never wanted to be a fashion designer. I wanted to be an artist. Both my mother and father were in fashion and it was the last place I wanted to be. When I started to look for jobs as an illustrator for Woman’s Wear Daily, they said “No, you’re a designer.” Since then, I’ve considered myself a designer, not an artist. I’ve always sought out the artist in me, though, and the beauty with this space is that I can be so close to all of this incredible art. Mashonda is such a soul. She’s truly everything that I think about when I think about women. CM: This show is called “King Woman.” Historically, the word “king” carries with it strong male connotations. How did you come up with this title? DK: Do you see King as a man? MT: I don’t. I see King as anything it wants to be. DK: Do you see Queen? MT: I see Queen as well. I think, oftentimes, the queen has been the king. It was a way for me to say that women can be who they want to be. Titles don’t need to put on women by society. I think the work represents that. All the artists are feminine, but they’re bold and courageous. Yulia Bas at King Woman. Photo by Noemie Marguerite on behalf of Urban Zen. CM: This show features primarily early and mid-career artists. You both came up in intensely male dominated industries. Did either of you have women supporting you and pulling you into spaces? Was there an absence in positions of power held by women? MT: Absolutely. I saw no one. The only women in my life were my grandmother and godmother. There was no one in my field. There was no one to mentor me or for me to ask questions. I would have never accepted or even understood a term like King Woman ten or fifteen years ago. I was not strong enough to recognize that I could be that and that it’s okay to be that. And now I want to do everything I can, with Donna by my side, to create a space for women to feel like they can do any and all of it. 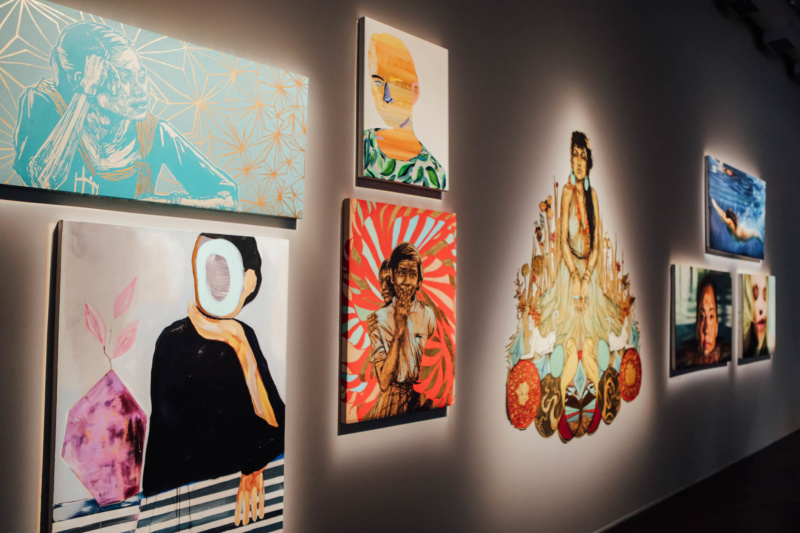 King Woman is on view at Urban Zen at 705 Greenwich St until April 7, 2019 and features work from Genesis Tramaine, Swoon, Tawny Chatmon, Yulia Bas, and more.